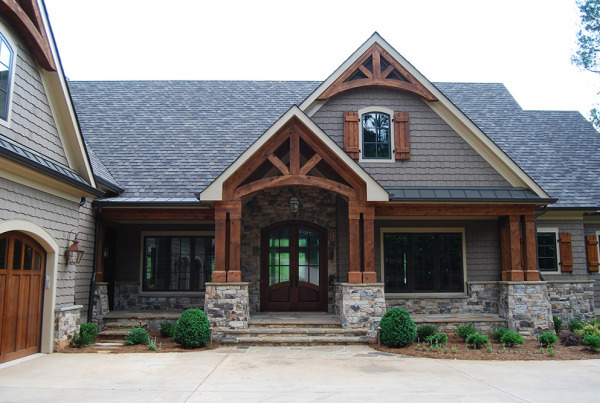 Our Lodge house plans are inspired by the rustic homes from the Western mountains or lakes. Whether you’re looking for a modest cabin or an elaborate timber-frame lodge, these homes will make you feel you’re away from it all. 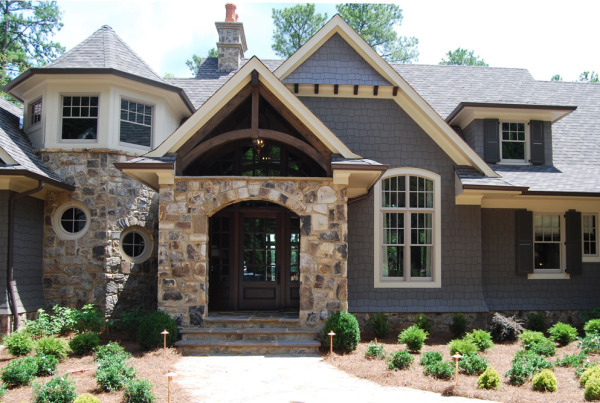 This style relies on natural materials for their beauty. Among the materials used are heavy timbers, wood siding, stone, gable end braces, and cedar shakes. While different in theme, each design promotes a rustic feel that will effortlessly blend with the lake, golf course or wooded landscapes. The floor plans promote outdoor views, making them ideal for sites with golf course views or lakeside access.